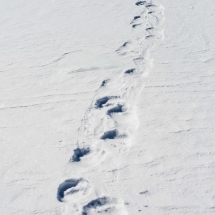 Monday morning, when we arrived at the ice camp, we discovered a number of fresh footprints. Bears had visited the camp in our absence. 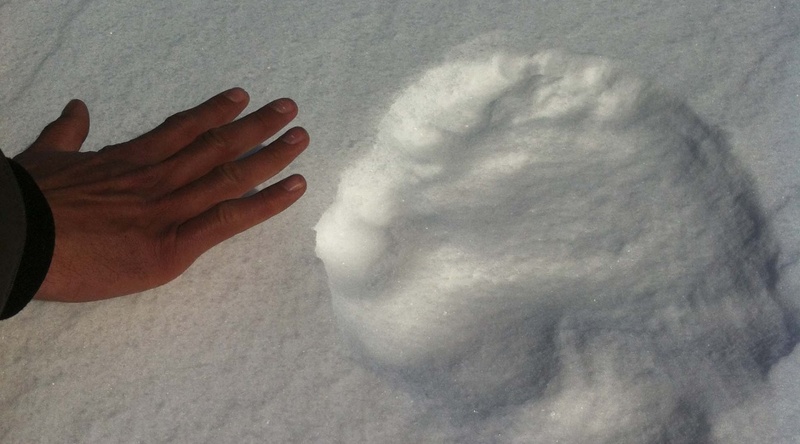 A large hole in a snowdrift revealed that a bear had joyously rolled in the snow. 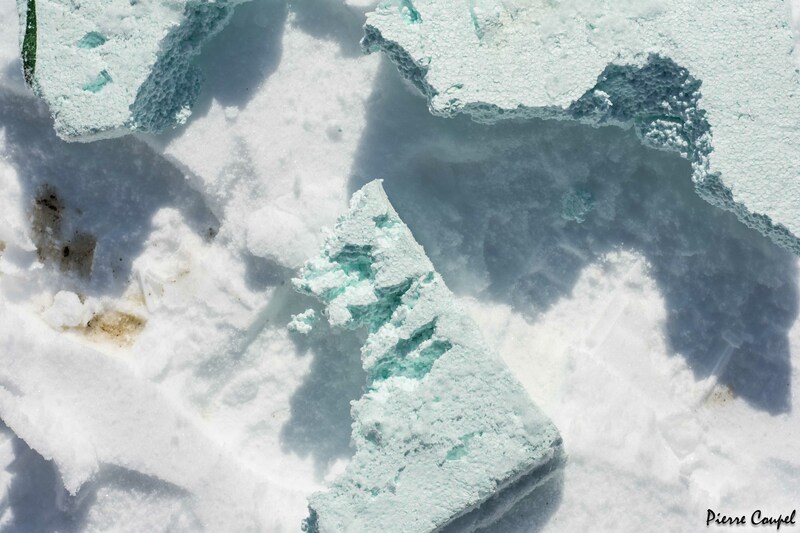 Our visitors glanced at our makeshift toilet, sniffed the Polarhaven tent and then passed by my incubation site, destroying the piece of polystrene that I used to cover the hole in the ice and limit light penetration. William, our guide and an experienced hunter, looked closely at the footprints and assured me they belonged to two average sized ‘adolescent’ males, about 6 or 7 feet from nose to tail. 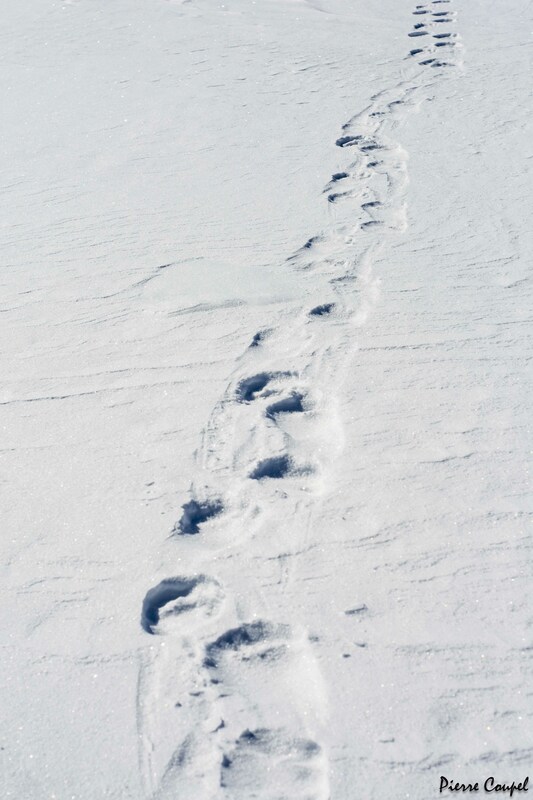 Nevertheless, their footprints were impressive, certainly a size 20 when compared to my size 11 feet. William explained these carefree young bears have no fear of humans, unlike older bears who are very wary and prefer to flee. 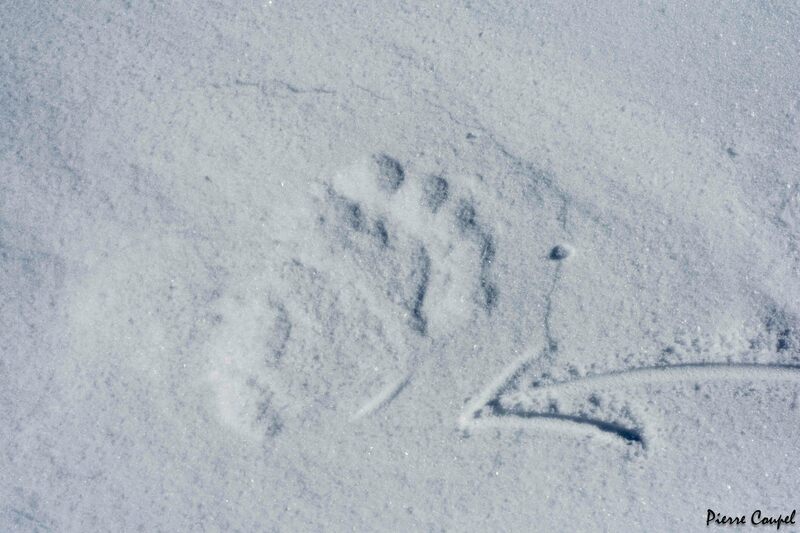 This was the first evidence of bears at the ice camp since its installation in April. There are hundreds of bears in the area. 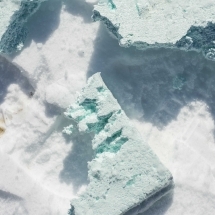 However, at this time of the year, they hunt 30 km away, in the marginal ice zone closer to Baffin Bay. As the season progresses and the ice begins to melt, the number of seals and, consequently, polar bears, around our camp increases. 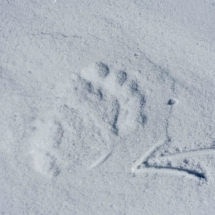 In September and October, when the extent of ice retreat is at its peak, the bears leave the ice for firm ground, and sometimes can be found wandering down the street in Qikiqtarjuaq dragging their feet right up to the school playground.